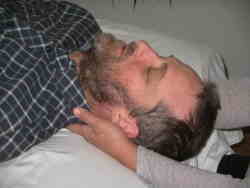 Biodynamic Craniosacral (BCS) therapy is a form of bodywork whose roots lie in the fields of Osteopathy. One defining piece of the biodynamic approach to Craniosacral Therapy is that it engages the Inherent Treatment Plan (ITP) of our body systems. The ITP is a way the body engages the healing process. When this process begins, the body’s self-healing mechanism initiates, and then reorganizes inertia that was stuck. The inertia is shock that was too much for the body to handle in the moment, and that shock is stored in the body until the body can release it. Inertia or shock may come from a car accident or emotional stress. When we are in the right setting our body has the time and space to release these traumas. In Biodynamic Craniosacral work, the practitioner is trained to be aware of the body’s self-healing mechanism, and hold space for it to work. Massage manipulates muscles and connective tissues in the body encouraging blood flow and lymph flow. Sometimes we need pressure and manipulation, but Craniosacral Therapy does not look or feel like massage in a session. My hands hold areas of the body and listen to the tides, which are cerebral spinal fluid flowing from the cranium to the sacrum in rhythmic pulses and are also expressed through the bones, organs, tissues, nerves, vascular system, and all systems of the body. It is a very still and subtle process when compared to massage. Because craniosacral therapy is very different from massage therapy, I think it is important to express this for first time clients, and also for those curious about how so much can be happening in seemingly subtle ways. My whole being and hands are listening deeply to your system. There is no pressure. Comfortable clothes are ideal. Some clients may feel the work deeply. Some may not feel a lot during a session or until after a few sessions. Others feel relief in their overall state of being after a session. I am always open to encouraging my clients to gain awareness of and sensitivity to the flow of tides in their body. A part of craniosacral work that especially inspires me is how the client’s body can self-adjust. For example, in a chiropractic session the body is manipulated and adjusted in order to realign the system and bring back balance. While in a BCS (Biodynamic Craniosacral) session, the body may have similar adjustments initiated by the body itself. During my time with a client I am holding the body, and not pushing or pulling in any way. I may use massage in a session, but when we move into the BCS part of a session, the body is choosing which inertia or shock to release from the system. The intelligence of the body that animates the physical form knows itself best. I aim to hold the whole of the client, stay present, and encourage curiosity about how the body is able to heal itself. This ability is fundamental to our survival. Just as we can be bruised or cut and we are then able make new cells and realign structures, there is a force that animates us and enables our systems to live and thrive. 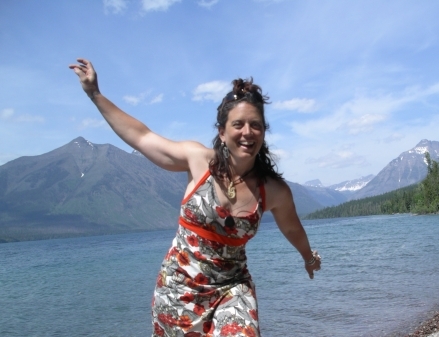 The way I work on the land mirrors the concepts of my bodywork practice. While I tend the compost and plant rows of corn, I know that there is a force that I may never be able to fully dissect. I may understand parts by having some lovely plants, engaging the principles of permaculture design, studying soil biology, catching rain, and imitating systems I see in nature. Regardless of the parts I will always be one human as a part of a greater whole. I am engaging my environment and sometimes fail in the learning process. These failures are situations with potential for change and discovery. The goal is to work with Nature rather than against her. Any force applied against earth will meet resistance, which could transform rapidly: Water is for me the greatest teacher of that principle. So quickly the power of water can undo my miscalculations. That is when I have to step back, get out of the way, watch the flow, and learn. Then apply what I have learned. In the gardens, in my professional practice, in art, and in all of life. If you would like to know more please contact me, browse this site, or look at the history and list of resources. There is also a section of definitions to individually address some of the terms I have used in my writing and that I may use during a session. I hope you find the concept of Biodynamic Craniosacral Therapy so interesting that you seek more information and learning, and I especially hope you contact me for a session here in beautiful Santa Fe, New Mexico. I look forward to meeting with you and exploring this transformative healing work!